In Bulgaria one can enjoy many winter holidays starting in December with ‘Nikulden’ and probably ending up in March with ‘Martenitsa Celebrations’. ‘Nikulden’ is the Eastern European version of St. Nicholas Day celebrating the miracles of the ‘Wonderworker’. 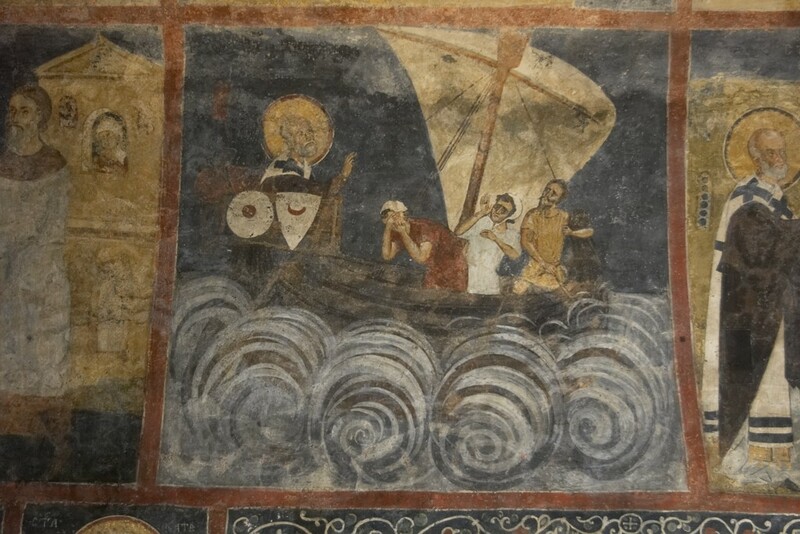 Saint Nicholas is also the patron saint of all sailors, merchants and travelers inBulgaria. So next time you set your suitcases for another adventure trip don’t forget St. Nicolas – the patron of all travelers! ‘Nikulden’ is also celebrated by many families who have members named after the saint. The legend says that the saint saved the sailors from a sinking boat by plugging up the whole with a carp fish. That is why on 6th of December in each family table there should be at least one fish meal, most commonly stuffed carp with walnuts and raisins, one of the Bulgarian cuisine highlights. According to the old traditions after dinner he fishbone is supposed to be burned and buried which will bring rich harvest and prosperity to the whole family.